I've always been fascinated with people, places and cultures, and I guess in order to really begin to understand any of those things you have to delve into some history. I was never one for history class in school though—the papers you had to write, the dates you had to remember, yuck!—but I did love studying history through art, or history through architecture. History through the context of religion too. It was how I somewhat surprisingly racked up so many history credits when I was in college. 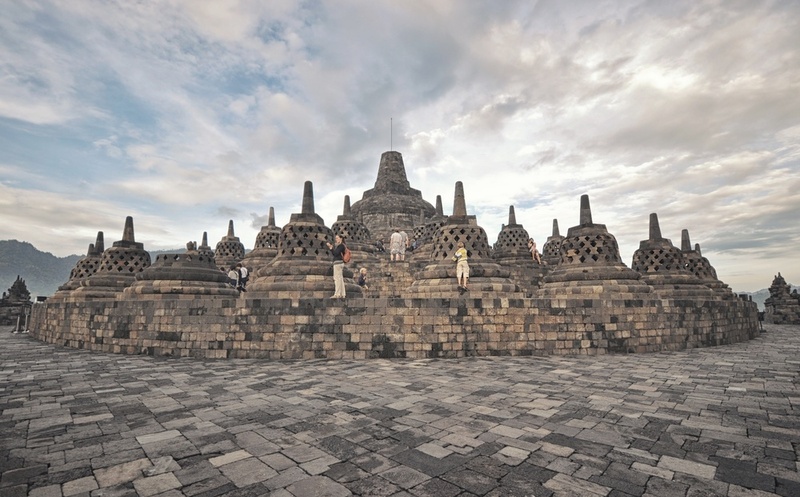 One of the places often discussed was Borobudur, the single largest Buddhist temple in the world. 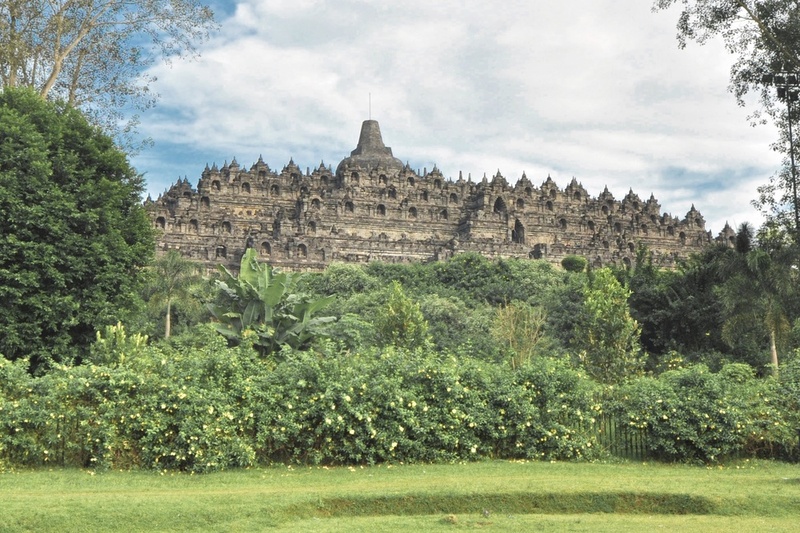 This UNESCO Heritage Site can be found in Indonesia, on the island of Java. I had visited the famed Angkor Wat complex in Cambodia a few years prior, and always wanted to visit Borobudur and see its splendor. We were finally able to go one summer, as the third stop of a mini tour of Indonesia (we visited Bali and Moyo Island prior). 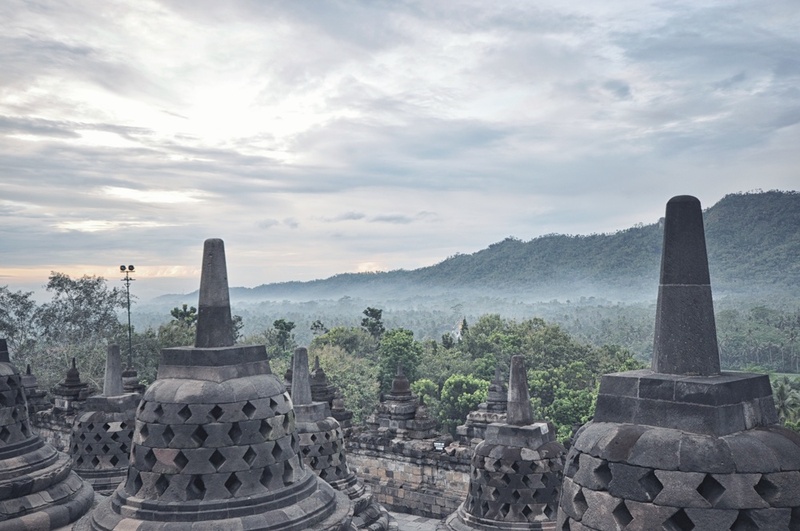 The temple complex Candi Borobudur and the town of Borobudur lie on a fertile plain surrounded by four volcanoes. FOUR! Three of which are active by the way, with Mount Merapi erupting as recently as 2010, spewing ash all over the temples taking months to clean up. We actually wanted to climb one of them while we were there but unfortunately the conditions meant we weren't able to. In spite of that we had an amazing three days exploring the temple and the town, visiting markets (one of our favorite activities while traveling! ), sampling local cuisine, and taking in some of the cultural music and admiring some of the local handicrafts. We were able to a small hike in the end, up the Menoreh Hills which is where the main photo at the top of this post was taken from. 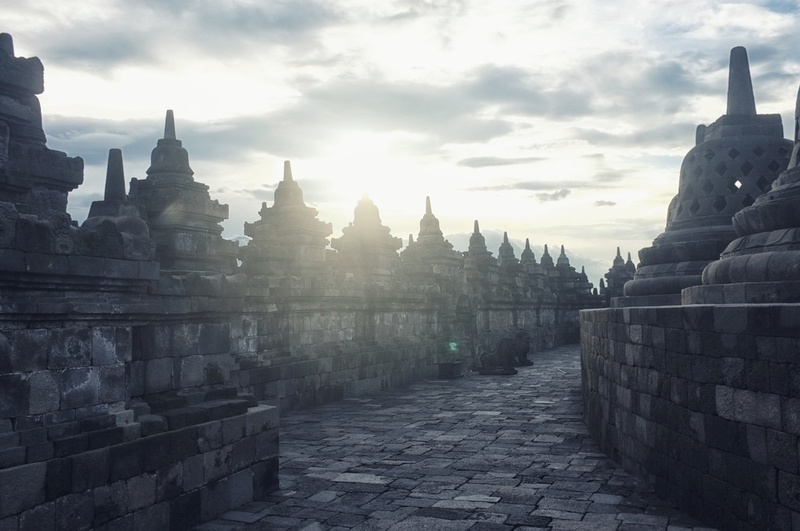 We started our visit to Candi Borobudur itself by rising at 4am and climbing to the very top to watch the sun rise behind the volcanoes, slowly hitting the famed stupas of the temple. These 72 stupas are a defining architectural feature, each of them containing a seated Buddha statue. After circumambulating the top platform of the complex (clockwise, of course! ), we made our way down each level of the temple, with our guide telling us the stories behind the intricate relief carvings, of which there are 2,672 panels! It was an amazing place to visit. 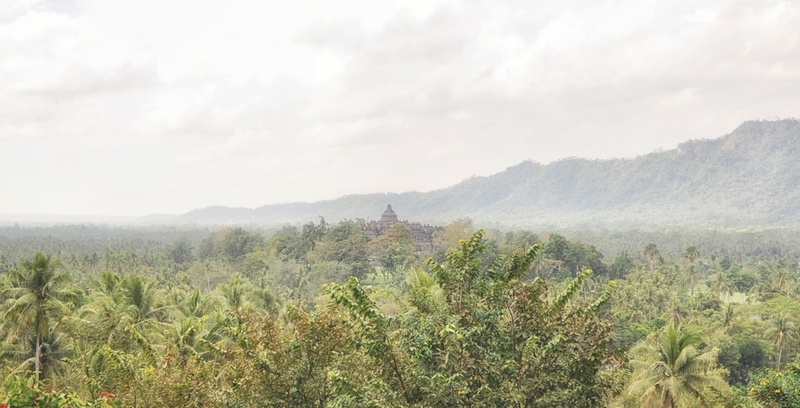 If you've experienced the sweeping vastness of Angkor Wat you will delight in the grandeur of Candi Borobudur. I definitely recommend a visit to this wonderous place, especially if you also enjoy outdoor activities and adventures away from the hustle and bustle of big cities.